This book explores the political games of the Moroccan democratization process in the period from independence in 1956 until 2006. By combining a great degree of political theory with empirical material on Morocco, it analyzes the strategies and actions of the various political actors and evaluates the level of democracy present in the country after the adoption of new constitutions in 1962, 1970, 1972, 1980, 1992 and 1996. Lise Storm demonstrates that in at least some instances, democratization has been more than simply a survival strategy – every so often, key figures within the political elite have taken the democratization process further than strictly needed for them to stay in power. In the case of Morocco, it has been the monarch who on more than one occasion has moved the country further towards the democratic ideal than he necessarily had to, and that sometimes even against the wishes of one or more of the established political parties. 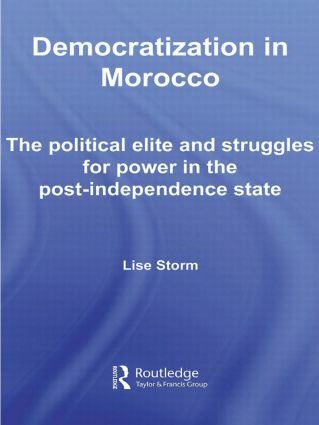 This book illustrates how the Moroccan political parties, like so many of their counterparts in the region, have become the main obstacle to further democratization as most of them have never honoured – or appear to have abandoned – the key function of political parties: popular representation. Democratization in Morocco will be a very valuable contribution to students and researchers interested in the dynamics behind the Moroccan democratization and the role of electoral politics in North African and Middle Eastern politics.